Billy M. Butler, a beloved husband, father, grandfather, great-grandfather, uncle, and friend, entered into his Heavenly home on January 21, 2019. He was 91 years old. Visitation will be at New Hope Funeral Home on Thursday 4:00 PM to 8:00 PM. The funeral service will be at First Baptist Church of New Hope on Friday at 1:00 PM with burial following at Hayden Cemetery in New Hope. Billy was born April 23, 1927, in New Hope, Ala., and was a lifelong resident. As a toddler, he was playing with a toy car on the hearth of his home's fireplace when a spark set his clothes on fire. He ran outside where his mother extinguished the flames with her bare hands. He was burned so badly the doctor advised his family that Billy would not survive and to take him home to die. His family and neighbors, however, kept constant vigil, covering him in linseed oil and continually changing his wrappings to heal his burns. He survived. Billy grew into an active child and never shied away from work. When he was nine years old, he passed a group of men working on a house and was particularly intrigued by the men pushing wheelbarrows full of bricks. With his father's permission, Billy asked the supervisor for a job and started earning a wage hauling bricks. Soon enough, he learned the men were getting paid more than he was, and he asked his supervisor for a raise. The man in charge said no, so Billy thanked him for the opportunity and quit. His unemployment lasted a few seconds. The man raised Billy's pay. During World War II, Billy volunteered for service in the Armed Forces, but because of extensive scarring from the burns he had received as a child, the physician would not approve his application. Billy was told if he were to be injured in combat, there wouldn't be enough of his own skin to graft. Instead of military service, he began a long career of steady employment. As a young man, he spent many years working for Butler Brothers in New Hope but eventually got an opportunity to work with his family. He joined his sister's carpet and flooring business, Saint's Floor Service in Huntsville, in the 1950s. A few years later, he and Drama Saint became co-owners of Saint's Drapery Shop, where their mother and Archie Mae also worked. After more than two decades, Billy and Archie Mae started their own business in New Hope, Butler's Carpet and Gifts. Billy sold and installed carpet and flooring and Archie Mae sold home décor. Billy and Archie Mae Russell started dating when they were teenagers, and from the very beginning, their love for each other was undeniable. On Dec. 18, 1947, Billy arrived at Archie Mae's family home and announced they were getting married that day. Archie Mae's father took her to town to buy a new dress while Billy recruited someone who could vouch for his maturity. He was a few months shy of 21, which was the legal age to get a marriage license. They were married at her preacher's house. The preacher's wife served as the witness while she shelled pecans. The Butlers celebrated their 71st wedding anniversary in 2018. Billy became a father in 1952 when his daughter, Rhonda, was born. Ten year later, the three of them moved next door to the house Billy designed and built on Oak Grove Road, and it was his home for the rest of his life. Billy remained active in his yard, garden, and tool shed even after he retired. It was common seeing him on his green John Deere tractor mowing his yard or hauling wood to burn. He was a longtime member of Galilee Baptist Church but enjoyed visiting First Baptist Church of New Hope to listen to Rhonda play the piano. Billy was preceded in death by his parents, Ed Gardner Butler and Ora Lee Cooper Butler, two sisters, Drama Saint and Jowilla Dorning, two brothers, Eugene Butler and Burns Butler, son-in-law, Ralph Cain, and grandson, Justin Cain. Survivors include his wife, Archie Mae Russell Butler of New Hope, Ala.; daughter, Rhonda Cain of New Hope, Ala.; three grandchildren, Butler Cain and wife Andrea Hunt of Florence, Ala.; Kendra Cain Harper and husband Patrick of Meridianville, Ala.; and Kipp Cain of Florence, Ala.; and four great-grandchildren, Hadley Harper, Deacon Harper, Ruby Hunt, and AJ Hunt. 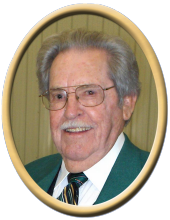 "Email Address" would like to share the life celebration of Billy M. Butler. Click on the "link" to go to share a favorite memory or leave a condolence message for the family.